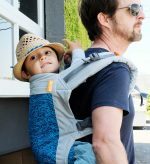 The Tula Coast Toddler carrier has all the features you love about the regular Tula Toddler carrier PLUS a center panel made of breathable mesh so that you both stay cooler when it’s hot and humid outside. The Tula Coast line is also great for babywearers who run warm in general! The breathable mesh hood supports child’s head while sleeping, provides some protection from the sun or wind, and helps with discreet breastfeeding. 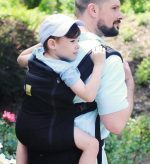 The Tula Coast Toddler Carrier can be used for both front and back carries. Cannot be used for forward-facing carry or for hip carry. Straps cannot be crossed on your back. Tula Coast Toddler Carriers is recommended for children 25 lbs on up. Great choice for plus size babywearers. 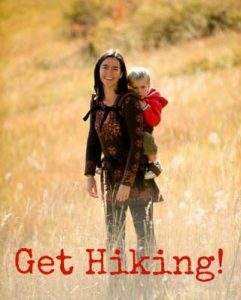 Wondering what size Tula you need? Our Tula Standard vs. Tula Toddler chart gives you some great guidelines. Or for more detail and info, read this article: Which size Tula Should I buy? 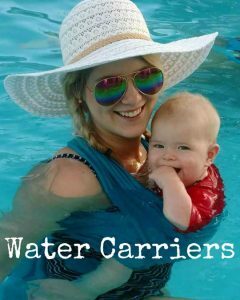 Please note that Tula Baby Carriers and accessories can only be shipped to the USA. Our favorite big kid carrier! Best for kids two and up. We love our Tula coast! Super breathable for my daughter and she adores the colors. CMA also has amazing customer service and support if you have questions ??? ?